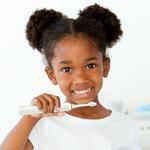 Plaque is the problem, Pyle Health is the answer. 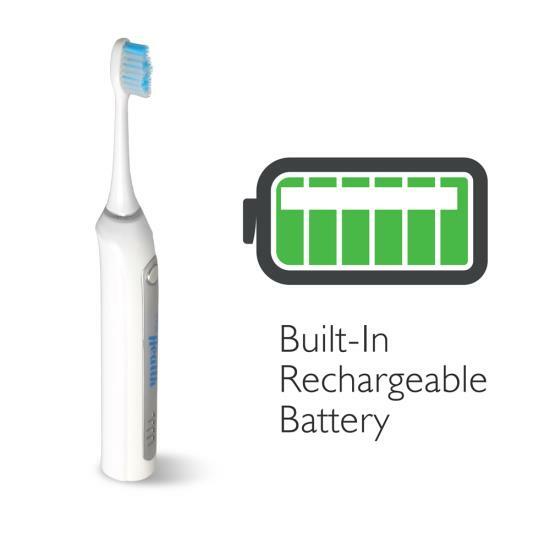 Engineered to perform, the Pyle Health Ultrasonic Wave Rechargeable Electric Toothbrush is in a class of its own. 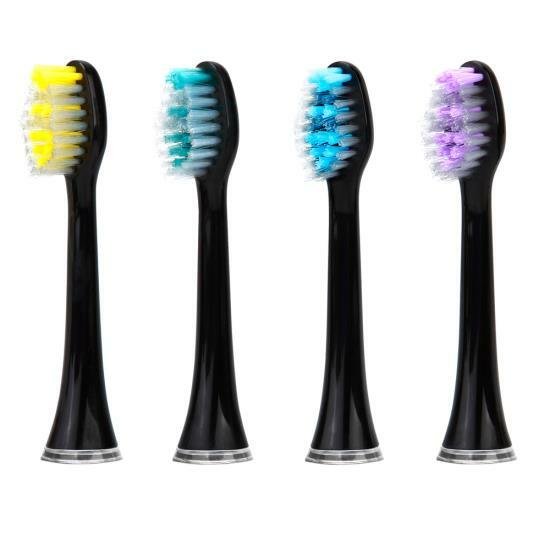 The deep cleaning features and sleek design join forces to bring you superior cleaning for an unparalleled brushing experience. It's laboratory tested and guaranteed to reduce bleeding and gingivitis while improving your oral hygiene. 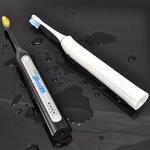 The power of the handle coupled with the unique design allow the brushes to oscillate and pulsate, cleaning better versus a standard manual toothbrush. 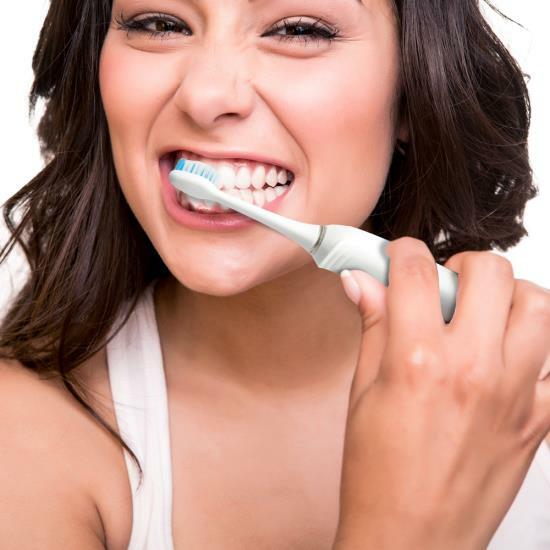 Feel the clean with 41,000 ultrasonic pulse vibrations per minute, that improve gum health, remove food particles and destroy plaque below the gum line. 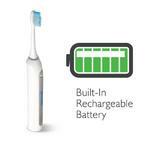 It's rechargeable and comes with docking stand that quickly charges the toothbrush. 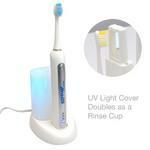 The charging dock also features an automatic built-in germ and bacteria eliminating ultraviolet sanitizer -- for a fresh toothbrush and even fresher breath! 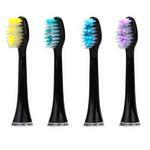 Choose your brushing intensity between (3) selectable modes: normal, whitening and massage. 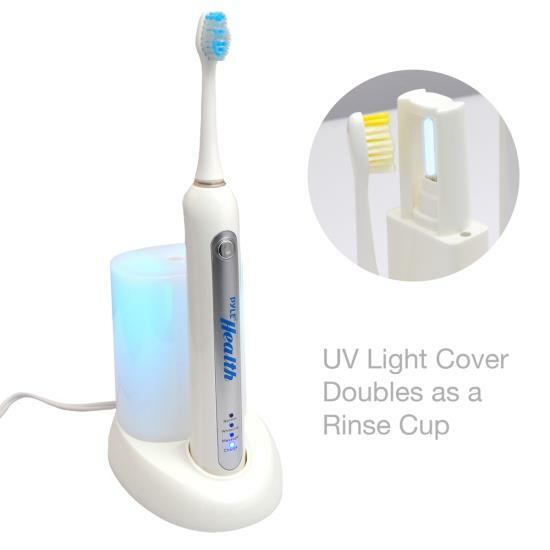 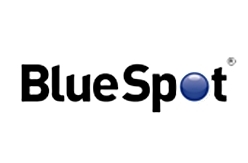 Additional features include built-in timer with auto shut-off after two minutes of brushing and dentist-recommended auto-alert when brushing the same area for more than 30 seconds. Brush around braces, bridges and implants, so you can maintain proper oral hygiene without any discomfort or irritating pressure. 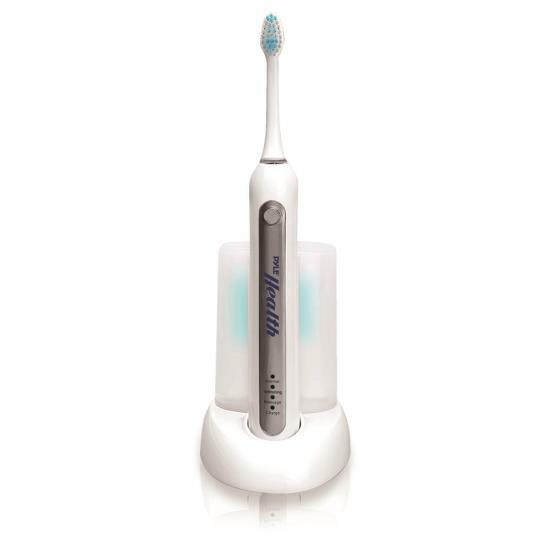 Enjoy a bright smile, fresh breath and healthy gums with the Pyle Health Ultrasonic Wave Rechargeable Electric Toothbrush.